Tiffanie Brumfield is the Program Manager for Jefferson Oaks Behavioral Health. She is a registered and board certified art therapist with over 20 years in the field. Since earning her Master’s Degree from the School of the Art Institute of Chicago, she has practiced art therapy in Maryland, Virginia, Seattle and now in her hometown of Baton Rouge, Louisiana. 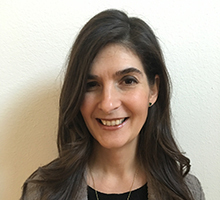 Her background includes, being on faculty at Antioch University in Seattle and directing expressive therapy programs in outpatient, inpatient and residential settings. She is currently an adjunct professor in the LSU School of Art where she teaches courses in art therapy. She is a member of the American Art Therapy Association and the Louisiana Art Therapy Association. In her clinical work, she uses a combination of theoretical approaches including transpersonal psychology, which focuses on a clients’ potential and assists in viewing the self as a whole and unique being. This approach, within the context of art therapy, allows the client to externalize internal processes and “see” their issue or concern in greater depth. Although talking is not always necessary in art therapy, the image can act as a springboard for the client to verbalize thoughts, feelings or experiences that are difficult to express. The act of creating helps bypass old patterns of expression that may be inhibiting growth or change which leads to a greater sense of control and insight.